Every now and then, I make a dessert recipe which is an enormous success, and half of me winds up regretting it. Why, you might ask, would I regret an amazingly successful dessert? The answer, my friends, is simple. It isn’t that people are ungrateful, it is simply a matter of these cookies being phenomenally delicious. There is a truly magical element to the combination of the simple taste on the inside, the cinnamon-sugar coating on the outside, and the almost magical cake-like texture. If you don’t mind hearing about the same dessert over and over again months…well, go ahead and try these cookies. Whisk the flour, cream of tartar, baking soda and salt together in a small bowl. Set aside. In the bowl of an electric mixer, cream together the butter and sugar until creamy. Add the eggs and vanilla and continue beating until well combined. Slowly add the flour mixture and beat until just combined. Using either a Tablespoon measuring spoon or a medium cookie scoop, measure out small balls of dough about an inch in diameter. Roll the dough in the sugar/cinnamon mixture until fully coated. Note that the dough is much easier to shape once coated, so drop messy balls of dough into the coating, cover fully, then roll between your palms to coat. These cookies are very soft, so they won’t keep as well as some others, but they freeze nicely. Enjoy! I know this one is a winner because of the cream of tartar. 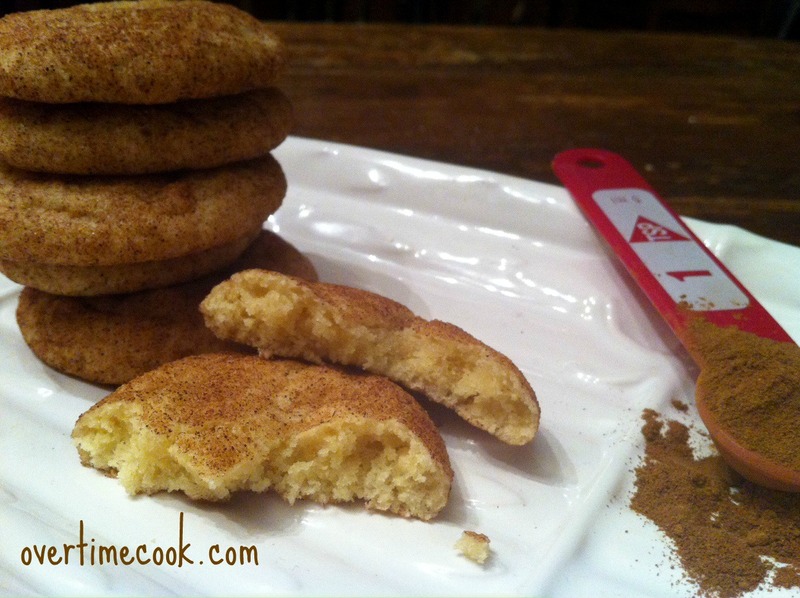 If a recipe for snickerdoodles doesn’t call for it, I don’t give it a second look. Can’t wait to try yours. I have my own around here somewhere from my mom, I just gotta find it. 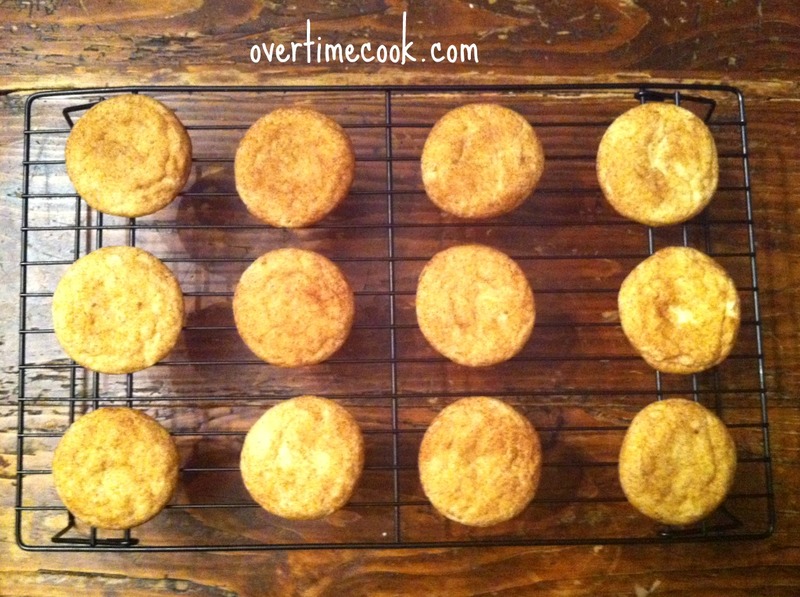 These cookies are delicious- perfect texture and amazing taste! I definitely recommend them. Love that last photo. Nothing says yum like the inside of a cookie! Mmm! 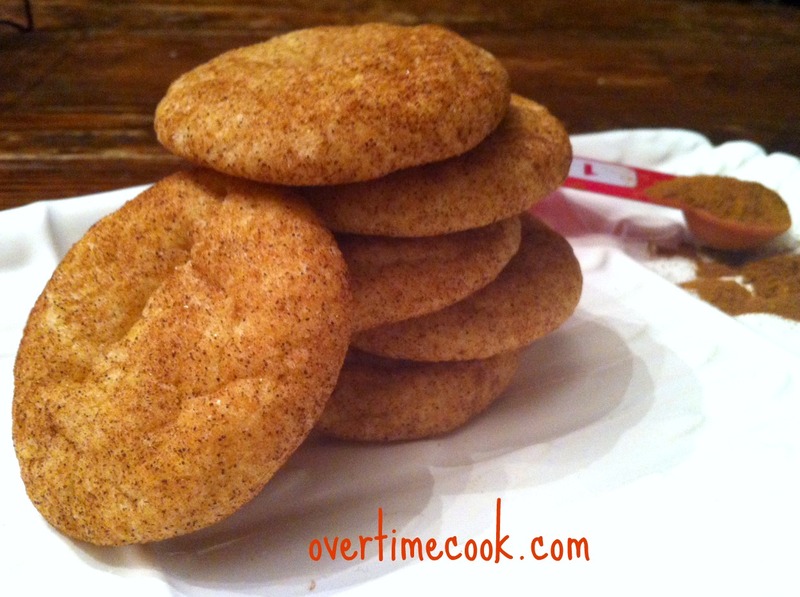 I love snickerdoodles. You’ve inspired me to make then very soon! Never tried them! If you find the recipe you can email it to me, overtime cook at gmail dot com. I cannot tell you the last time I had a snickerdoodle. Now I have a massive craving. You know I’ve never eaten a Snickerdoodle! This post is making want to quickly see what I’ve been missing all these years. mmmmmm…..my favorite cookie! Can’t wait to try this recipe. Thank you!